Sister Mintaka presents the Myosotis Dress by Deer and Doe. 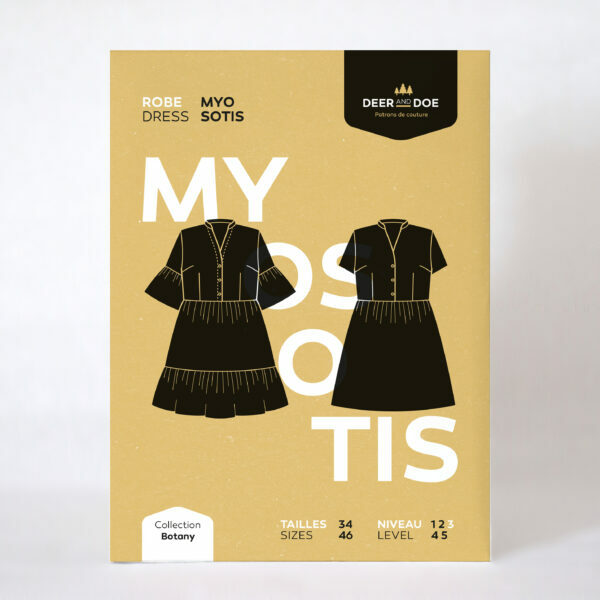 The Myosotis dress is an oversize shirtdress with inseam pockets. Version A has sleeve ruffles and a tiered skirt, version B has plain sleeves and a gathered skirt. Main Fabric: Light to medium weight woven fabrics such as chambray, rayon twill, batiste, double-gauze, lightweight cotton sateen.